You are currently browsing the tag archive for the ‘Buyers’ tag. Beijing top leaders reassure policies to boost domestic growth by ramping up public spending and cutting taxes after their 3-day meeting in the capital city – the Central Economic Work Conference, which is held annually at year-end to adjust policy for the coming year. Economic data released this week showed further risks to the economy. The Producer Price Index (PPI) fell to 2 percent in November, down from 6.6 percent in October, the slowest pace ever since May 2006. Exports in November slid 2.2 percent year-on-year, the first monthly decline since June 2001. It’s down from 19.2 percent growth in October. China is targeting around an 8 percent gross domestic product (GDP) growth rate for 2009 to ensure sufficient employment and safeguard social stability despite the challenges. China has cut its lending rate four times since mid-September, with the latest reduction of 1.08 percentage points, and unveiled a 4 trillion yuan ($586 billion) stimulus package to avert an economic slump. In an effort to boost trading activities in Jiangsu province, Alibaba ( HKSE 1688) rolls out a vertical ecommerce platform in the neighboring area. The vertical, which is entirely targeted on trade in Jiangsu, covers a range of services in ” Featured Products in Jiangsu”, “Trade in Jiangsu (latest selling leads)”, “Trade in Jiangsu (latest buying leads)”, “Trading Partners in Jiangsu”. Unconfirmed report revealed that about 8% of SMEs in Jiangsu neighoring area has closed down due to the financial tsunami. 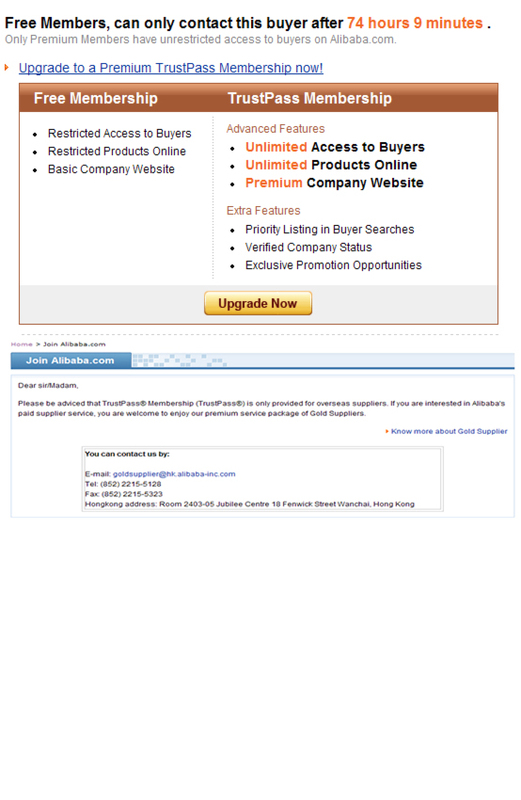 Leveraging on Alibaba.com search capability, users will be taken back to Alibaba search listing pages in the event of inputing keywords. Aliuser however, found it uncomfortable with the uncontrollable pop-up windows, which are very annoying. What happens after Alibaba announcing 2008 interim result? Hundreds of thousands suppliers and buyers are expected to turn out in the the 104th session of the China Import & Export Fair (Canton Fair). Alibaba debuts the “104th Canton Fair trade show” information today with highlight on new featured products. Despite the outbreak of economic turmoil in the last couple of weeks and the wear-off of the hype and joyous feelings from the Olympics Game, international buyers and suppliers explored the opportunities to do business again. The 104th session of the Canton Fair has split two phases into three. It is now held from October 15 to November 6, 2008. Another change to be introduced in this session is the use of a new IC card entry badge system for buyers and exhibitors. Previously used E-Pass cards will be replaced by the new IC cards which will be available on site or mailed in advance by Canton Fair organizers. With good intent, Alibaba‘s “latest buying leads” are designed to provide the most updated information to suppliers to fulfil buyers’ sourcing needs. Using the buying leads, however, pose a challenge to many users. Briefly looking at the copy such as, pc case, stationery, looking for plast.., they are so concise that we hardly know what the buyers really need. Users have to login to see the details. That’s very fair. Yet, another hurdle comes — users are required to be paid members. To get to this notice, users are supposed to go through three to four clicks. Should the users want to get an upgrade, they have to click again. Er… I think it’s a bit too much, click after click. 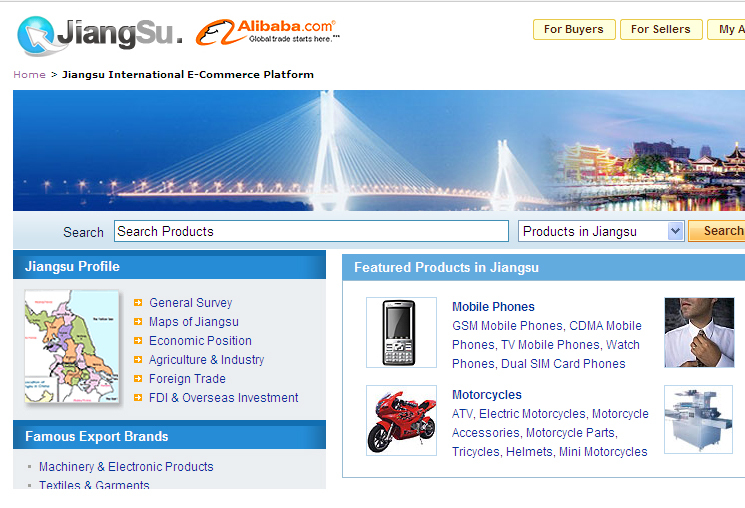 It would be very frustrating to those who are new to Alibaba.com . Alibaba should spend time on streamlining the users’ workflows. It would be nice if the users can be acknowledged that the service is limited to paid members only when they come across the UI in the first place or they should be notified when they are in the second click. Once decided to become a paid member, the upgrade information should stay with the membership information as to save another click. 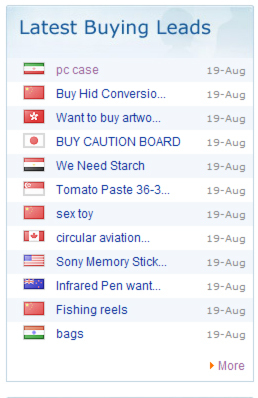 Another concern is that we are not sure about if the national flag be meaningful to users? Yes, we are watching Olympic Games now, we know our national flag very well, what about the flags of our neighboring countries? At Alibaba, we believe that the company is devoting effort to making things not only useful but also usable. “Usefulness” and “Usability” should come hand in hand, enabling users to get things done fast. To most of the users, time is money. Do you understand Buying lead? Alibaba is riding the wave of logistic-based services with the launch of a service intended to help users find a cost-effective solution to their transportation needs.